I don’t really think about what I’m wearing when I’m in my garden. I want to be in clothes that are comfortable, but other than that, I don’t really care what I look like nor do I have any other requirements. My clothes don’t need to match (and usually they don’t), they don’t need to be designer (I mean, I’m rolling around in dirt) and the more holes in the cloth, the better (I think of the holes as added air conditioning). 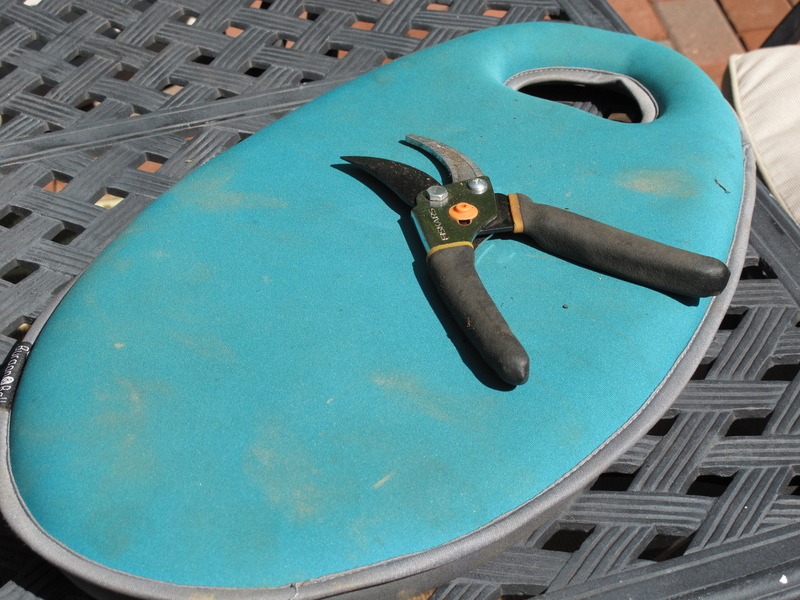 There are a few things I always wear or have with me–my plastic gardening clogs, my wide-brim hat with its SPF of 50, light-weight gardening gloves and I always have my foam cushion handy for my knees when I’m down on all fours digging or planting. Yesterday was no exception. 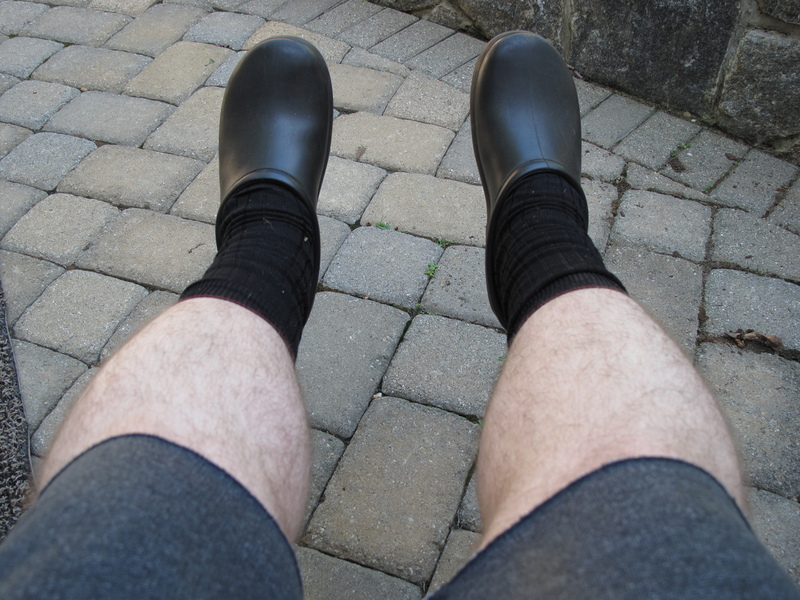 I had on my wide-brim hat, a purple t-shirt, my blue gardening gloves, charcoal sweat pant cutoffs (to accentuate my pale white legs), dress socks and my gardening clogs. What was different was that I had a friend stop by who walked into the back yard and surprised me. He looked at me with a horrified, yet amused, look on his face and told me that I was some gardener. I said thank you as I took off my hat and ran my hand through my thick and sweaty hair that was sticking four inches up into the air. You know the look….the one that looked like you curled your hair with dynamite sticks. This was not one of my more handsomer days. 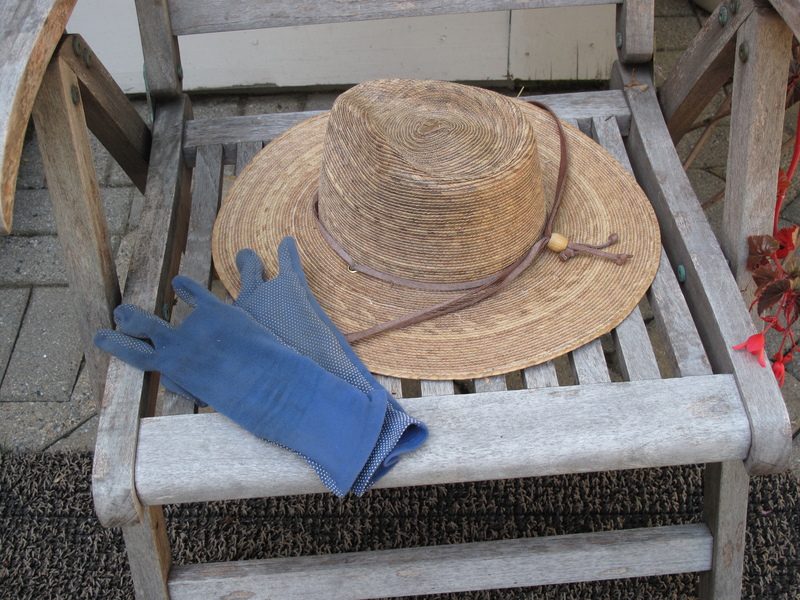 After my friend left, I got to thinking that most gardening blogs that I read never really show the actual gardener in all of his or her glory, unless the picture is a staged one taken by a photographer. You don’t really see what the gardener looks like or what the gardener is wearing in the many posts that are out there from our vast gardening community. Do we not show ourselves very much because, like me, we tend to look a little on the crazy side? Or perhaps, unlike me, most gardeners look great and wear nice polo shirts, jeans and comb their hair before spending the day out in the garden? So my fellow gardeners, it is time to confess…..what do you look like when you have a long day of gardening ahead of you? This entry was posted in Gardening, Life, Nature and tagged Acorns, Blog, Entertainment, Fashion, Fun, Gardening, Humor, Life, Lifestyle, Love, My Life, Nature, Opinion, Photos, Summer, Thoughts. Bookmark the permalink. Hi Teresa. Thanks for the confession. Heels in the garden? You are a garden fashionista. Hope all is well. Come back and visit soon. Haha! Like this post and the cute follow-up comments! 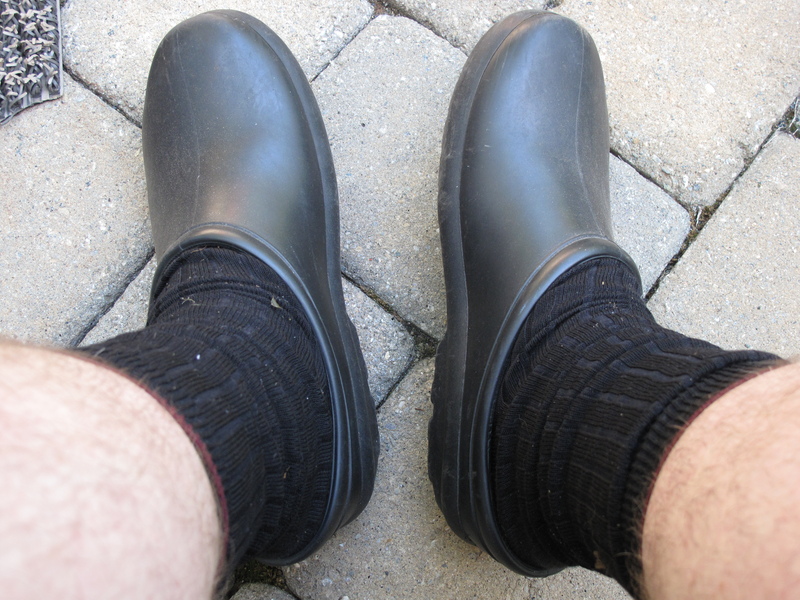 As for my gardening “wardrobe”, well, on my “veggie garden and backyard days”, I wear my old clothes with holes in them, but on my “front yard days” I wear nicer “grubs”! Lol! Have a wonderful day!